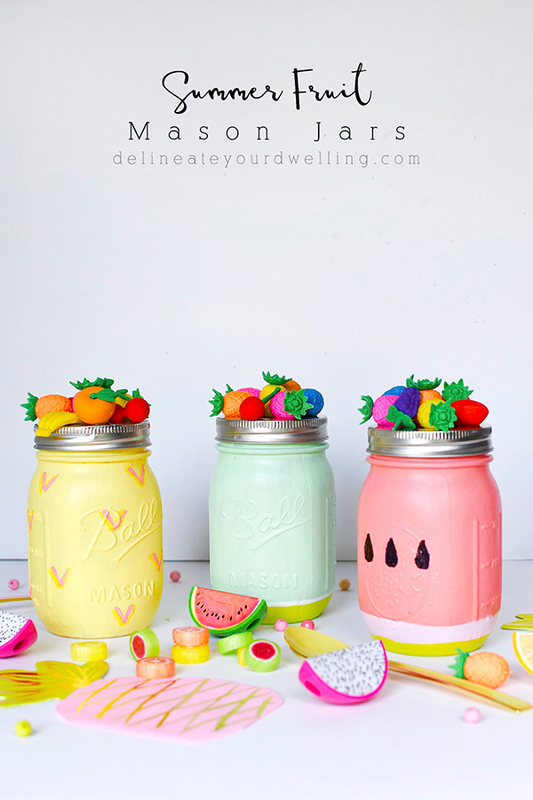 Learn how to make these adorable Summer Fruit Mason Jar centerpieces using this tutorial by Amy at Delineate Your Dwelling! These could also be used as cute little treat jars to give to friends! I love the watermelon jar!